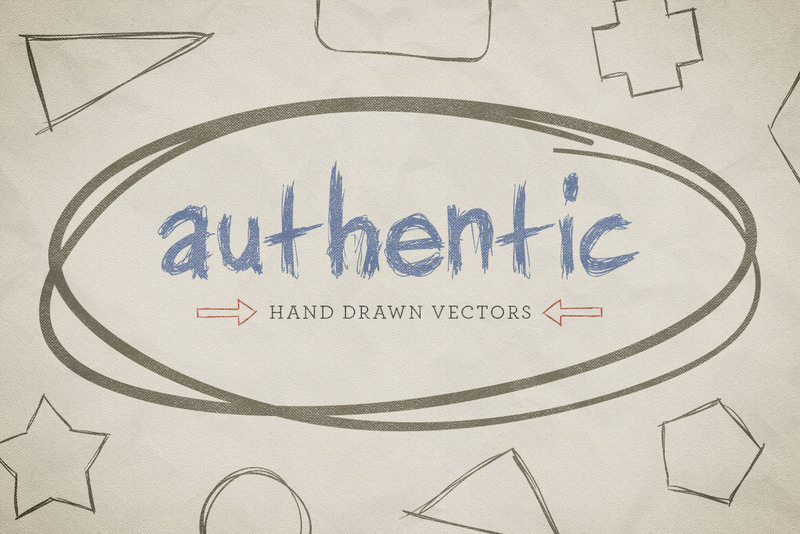 These 25 vectors were crafted by hand to give you an authentic sketched look. 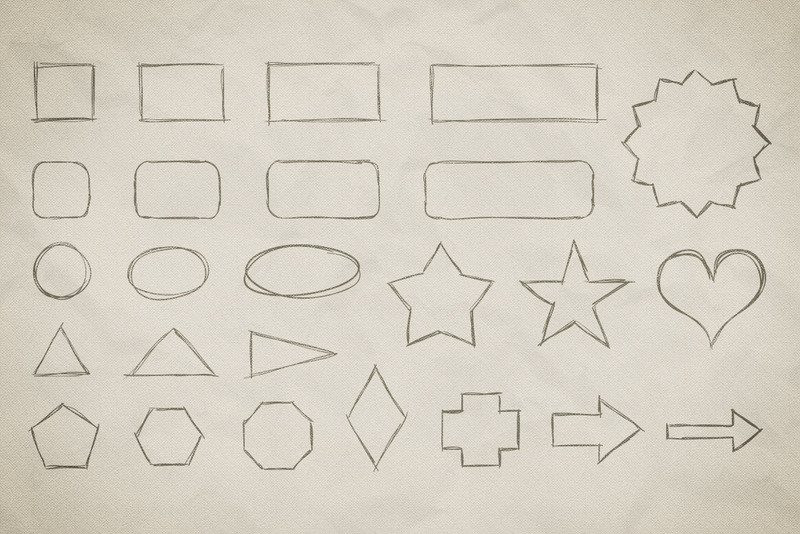 It includes all the basic shapes, including squares, circles, and triangles, plus extras like rounded rectangles, ellipses, arrows, and more. 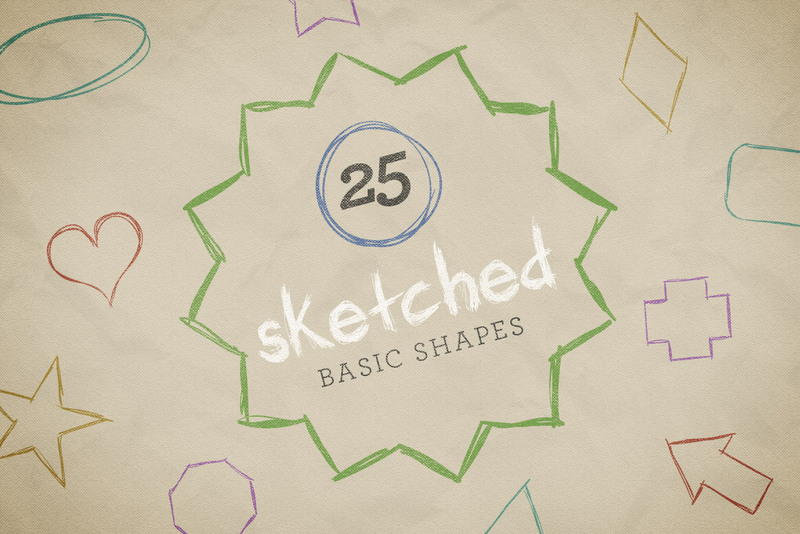 This set makes it easy to create a hand drawn look without having to bring out your own set of pens.